All of us with Table Decor International look forward to working with you to create that perfect atmosphere you are looking for. If you have questions or need assistance in mixing different bases and shades or in a more custom lamp, please contact us at 770-432-1156. 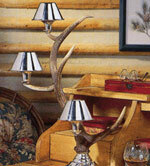 In this area are new items and designs available that are not in our current catalog. We are constantly adding new items in our line so check back frequently at this category!